Largest Recommended Hose Diameter O.D. 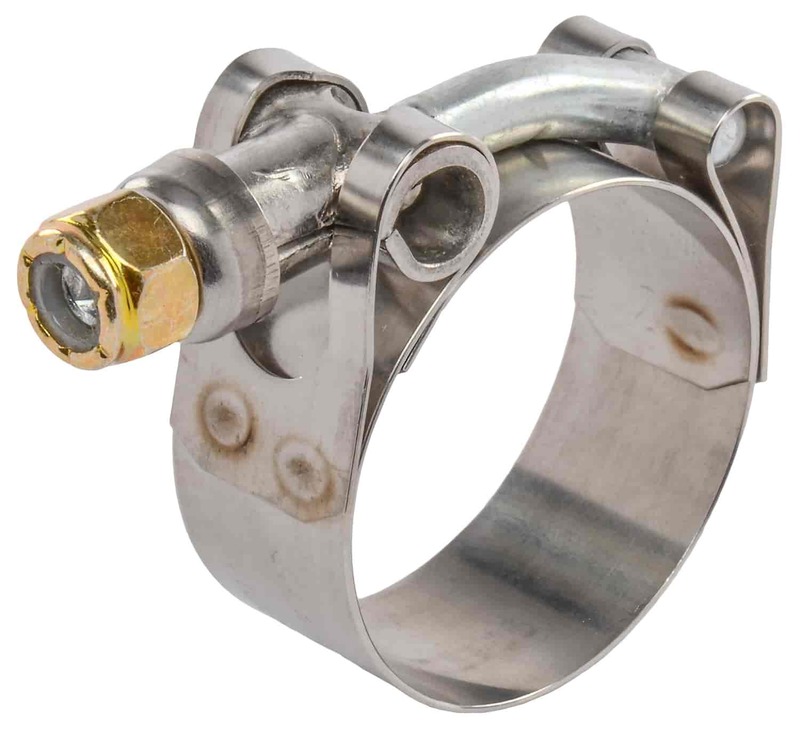 Much stronger than conventional worm drive clamps, these stainless steel T-bolt hose clamps range in diameters from 1.110" to 5.090", all with a 3/4" band. They are required by the NHRA for added safety. Sold 1/pkg.